With our digital cameras we are no longer restricted to a limited number of photos or to share those pictures in classic photo albums. We can now take hundreds or even thousands of pictures and share them easily on Facebook or other photo sharing sites. If you are trigger happy like we are, you are facing the problem of having hundreds or even thousands of photos to share. Handling so many photos at very high resolutions, resulting in huge file sizes, is a bit daunting. Size matters when uploading photos online, so this is why changing picture' sizes before uploading is highly recommended. 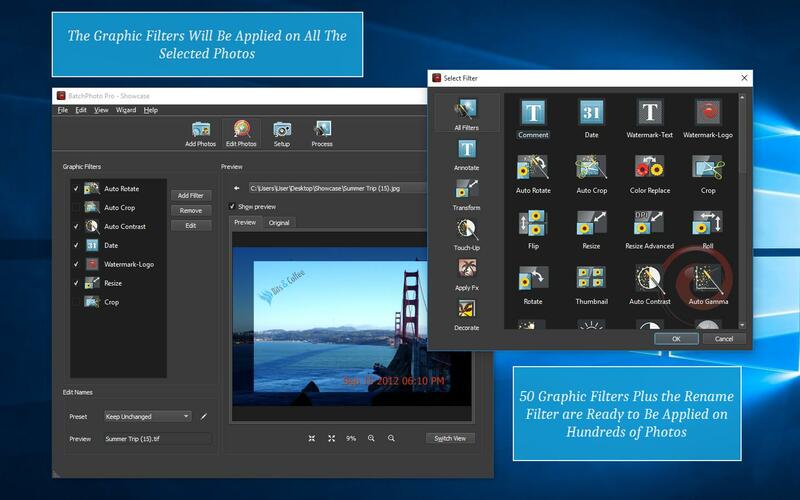 You can reduce the picture size, for one image at a time with any photo editing software, but if you have dozens or hundreds of pictures you need to use a software to reduce image size in bulk. 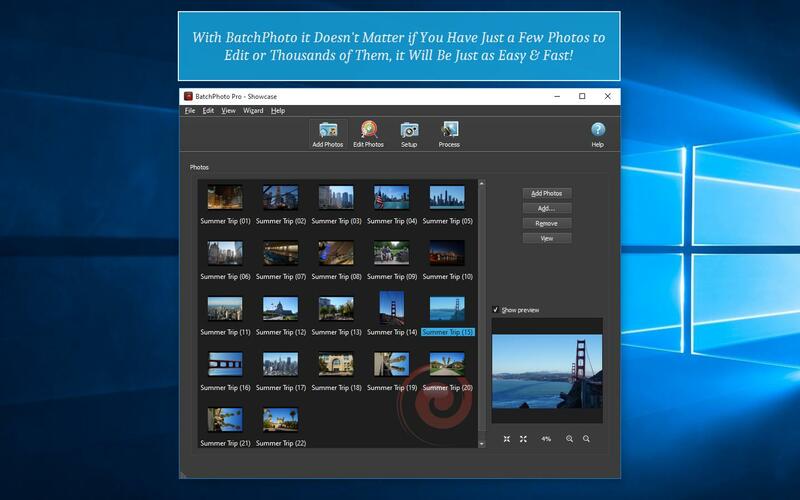 Introducing BatchPhoto, a picture reducer software for Windows® and Mac®, designed to be easy to use yet powerful. BatchPhoto can reduce picture size for dozens of pics in one session, save settings for later use, and even perform all operations easily from Windows® Explorer's right-click menu! We can resize photos with BatchPhoto by selecting new dimensions for the width and height of our pictures either in pixels or percentages. We can choose to keep the original picture's aspect ratio or change it. 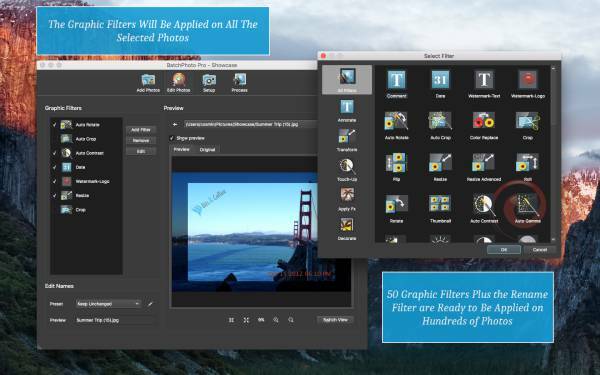 BatchPhoto will detect and correctly reduce the landscape and portrait photos alike. A fully-functional trial version of BatchPhoto is available for you to test right now, just click on the "Try Free" button below! BatchPhoto has even more useful features to help you keep your photo collection in shape. 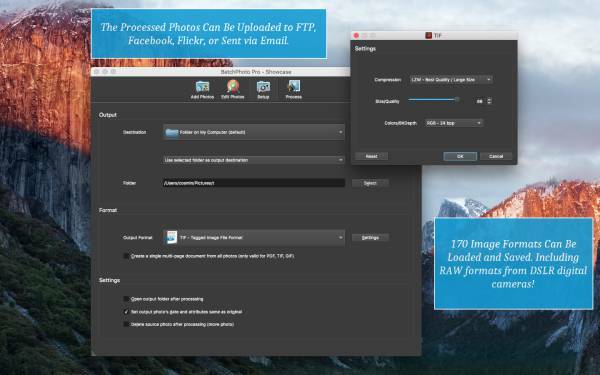 So it's more than a simple image size reducer software, it can also: rename your images with meaningful names, annotate your photos with date/time, comments and even transparent watermarks. 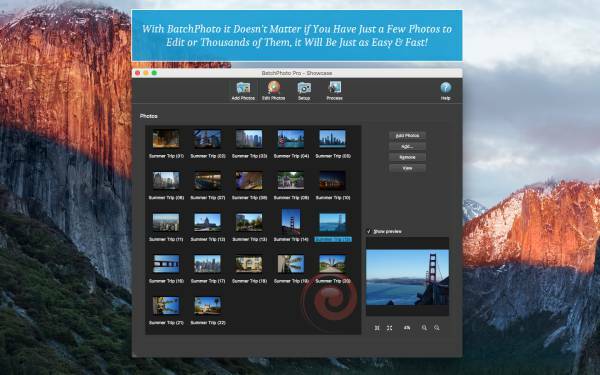 BatchPhoto is more, much more than a photo size reducer software, it's an all-in-one tool for editing your photo collection! 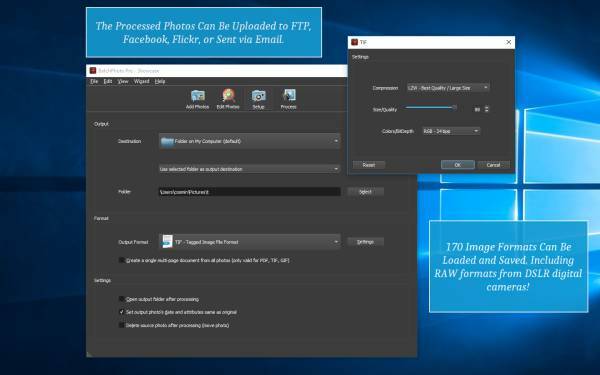 Have a multitude of images in various formats like JPEG, PNG, GIF or TIFF and need to resize and compress them to optimal sizes? Almost any image editor can do that but the average editor handles pictures one at a time and to resize dozens of JPGs will take some time.